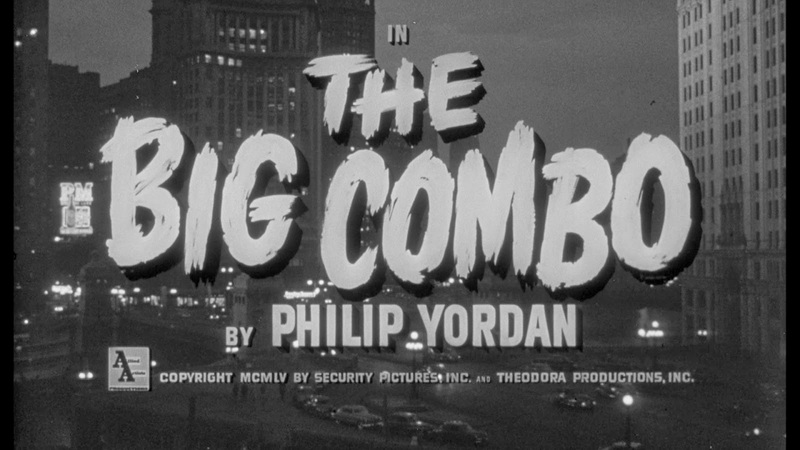 Vintage Shadows: "The Big Combo"
Today's film is "The Big Combo", 1955. I know, I'll get to the more obscure films soon. This film was directed by Joseph Lewis, and the only thing he's directed that I've even heard of is a couple episodes of "Gunsmoke", and I've only heard of that because I've seen commercials for it in old Twilight Zone episodes. Please forgive my massive ignorance. It stars Richard Conte, who would later be in The Godfather, Jean Wallace, whose been in a bunch of stuff I haven't seen, and Cornel Wilde, whose work I am similarly unacquainted with. So enough of this terrible introduction and onto the review. The plot of the film concerns a detective with a hard boiled name, Leonard Diamond, who is obsessed putting away a crime kingpin with a name out of a Paul Auster novel, Mr. Brown. Mr. Brown doesn't keep records, which makes him hard to pin down, but there are some flaws in his operation, such as a girlfriend who is steadily beginning to hate him. 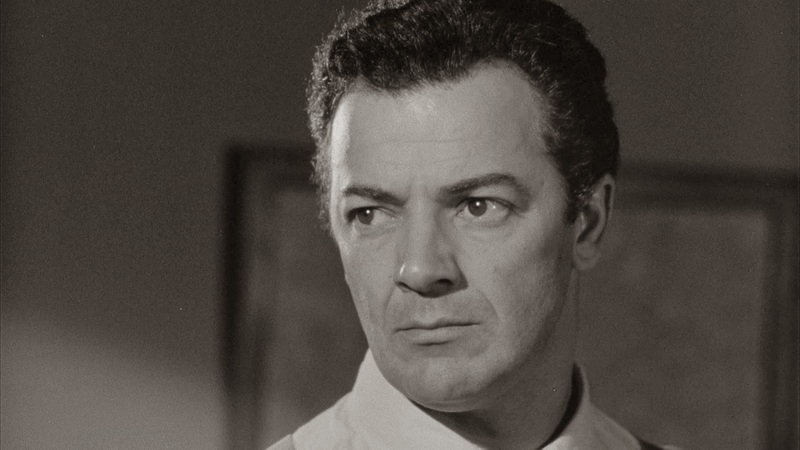 Cornel Wilde was really just the perfect choice to play the smug Mr. Brown. He always has this look on his face that I can't really articulate. The best I can do is that it's a certainty that everything will always turn out all right for him. It's his performance, and not so much Conte's, that makes you root for Diamond. In fact, it's his strength as a character that I feel makes the whole film come together, as all the other characters are pretty much defined in relation to him. His evil is established quickly- a short mention of desperate gamblers murdering their bookie- and then his presence takes over. You don't need to know what he did. You just want him taken down. This is apparent from the opening scene, as the introduction of film's main femme, Brown's girlfriend Susan Lowelle shows. She is depicted running away from Brown and his goons, much as she begins to emotionally run from Brown throughout the film. It's the kind of attention to detail that is a hallmark of the film. Similarly, Diamond's whole arc is his pursuit of Brown, with an obsession that borders on troubling. This review would be remiss if I didn't mention Brown's three henchmen, Joe McClure, Fanto and Mingo. Each one brims with personality. Joe McClure , played by Brian Donlevy, is the senior of the three, older even than Brown. Does he harbour feelings of resentment for his boss? And Fante and Mingo, played by Lee Van Cleef and Earl Holliman, are Brown's go to one-two punch of lethality. 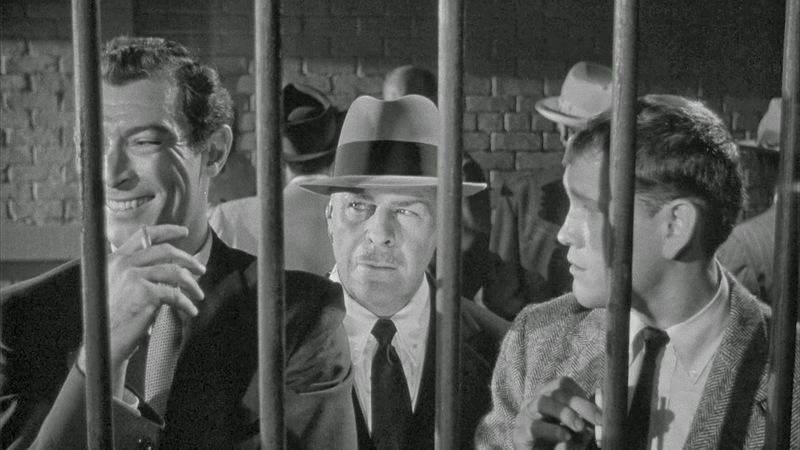 The film plays some noir tropes straight and avoids others. There is jazz, but it is upbeat rather than mournful. There is the standard beat-down scene in a smokey alley, but there are no femme fatales; each femme is pure-hearted. Apart from Susan, there is Helene Stanton playing Diamond's girlfriend Rita, and Helen Walker from Nightmare Alley playing Brown's ex Alicia Brown. All the femmes are, at some point, tainted by Brown's evil, as if we needed more reason to hate him. I really liked this, I guess it's considered a classic for a reason. I can't go into too much detail because spoilers and stuff, but there are scenes that will really stick with you. There's lots of violence, but it's all focused and never loses its emotional impact. -There's a character halfway through the film that looks exactly like present day David Lynch. -One of the film's most minor characters, a Niles Dreyer, is really memorable despite his real lack of impact on the film. Possibly because of his foreign (Swedish?) accent and short, accentuated "ha's". Best line: "Nobody knows how another person feels! 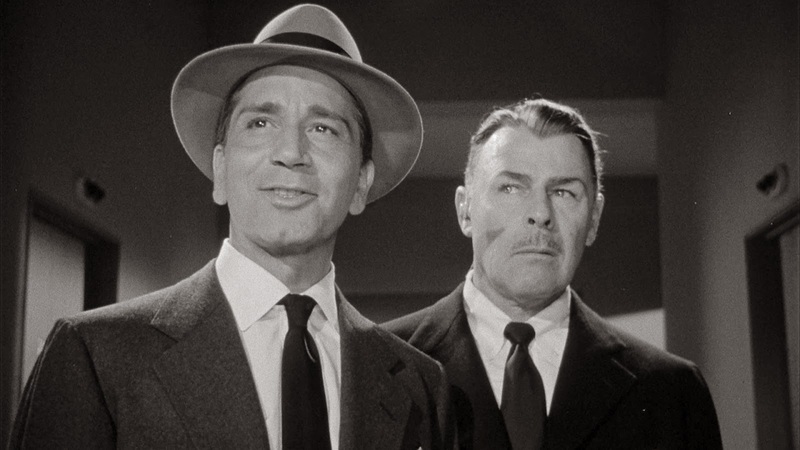 ", delivered angrily by Richard Conte.